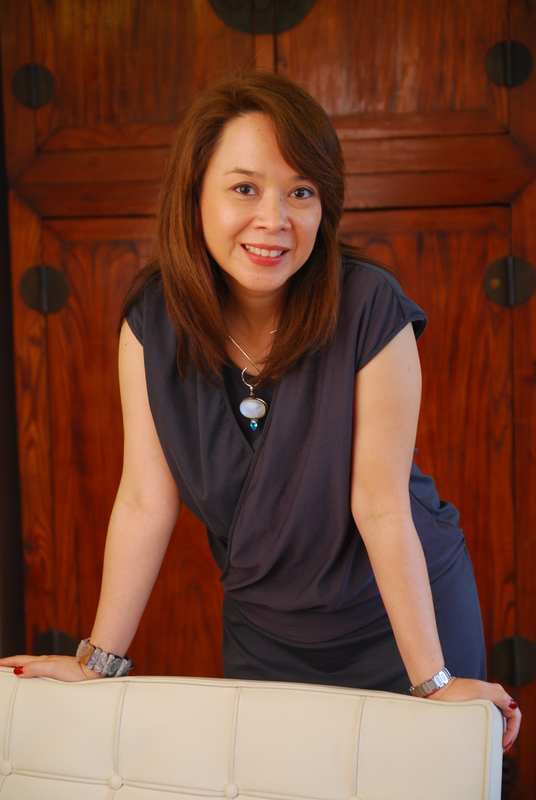 To highlight the importance of good health and well-being, Mango Tree conducted a talk about healthy mindful eating in cooperation with the expertise of personal growth and integrative health consultant, Ms. Lia Sevilla Bernardo. 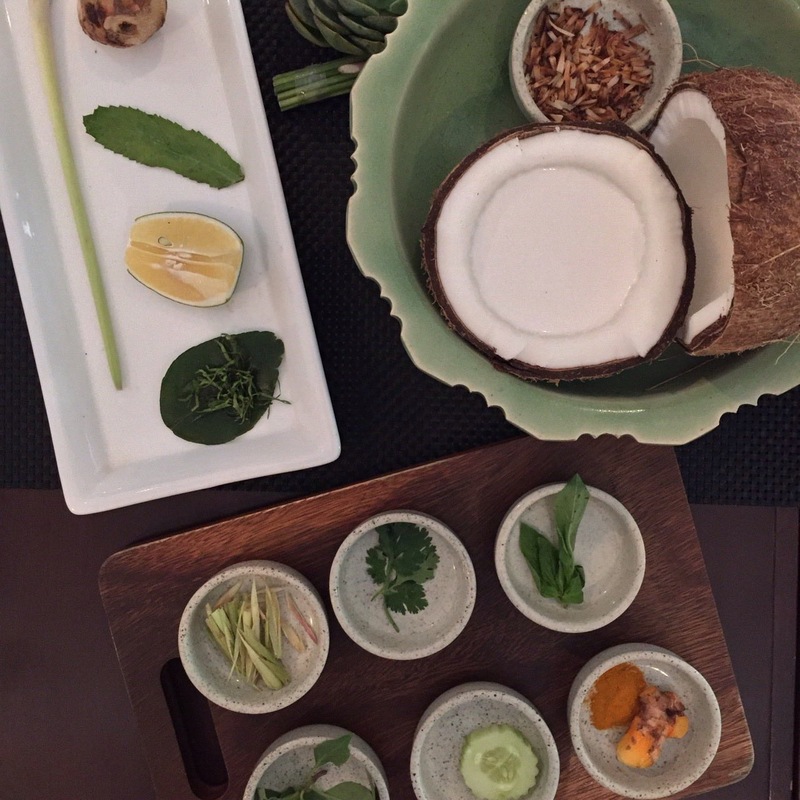 The event was supplemented with an explanation of the healing effects and medicinal benefits of select herbs and popular recipe ingredients, and a well though of menu by Mango Tree. Kai Jiew Hom, Thai-style Omelette with Spring Onions and Coriander or Cilantro. 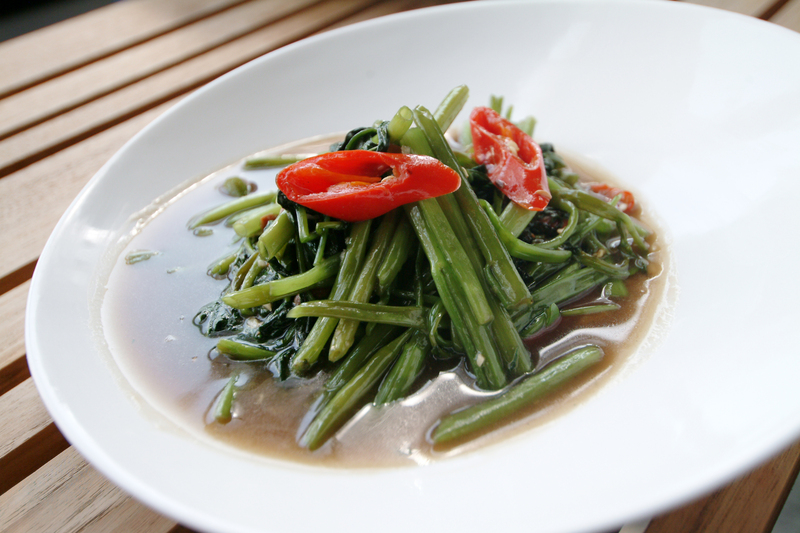 Phad Pak Bung Fai Daeng, stir-fried Morning Glory or Water Spinach with Garlic, Fresh Chilies, and Soy Bean Sauce. 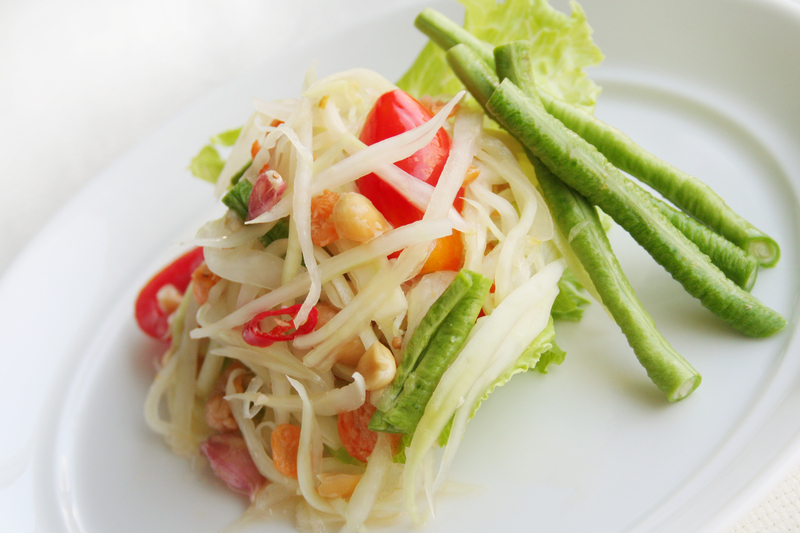 Som Tum Thai, spicy fresh Green Papaya salad with Cherry Tomatoes, Snake Beans, Peanuts, and Dried Shrimps. 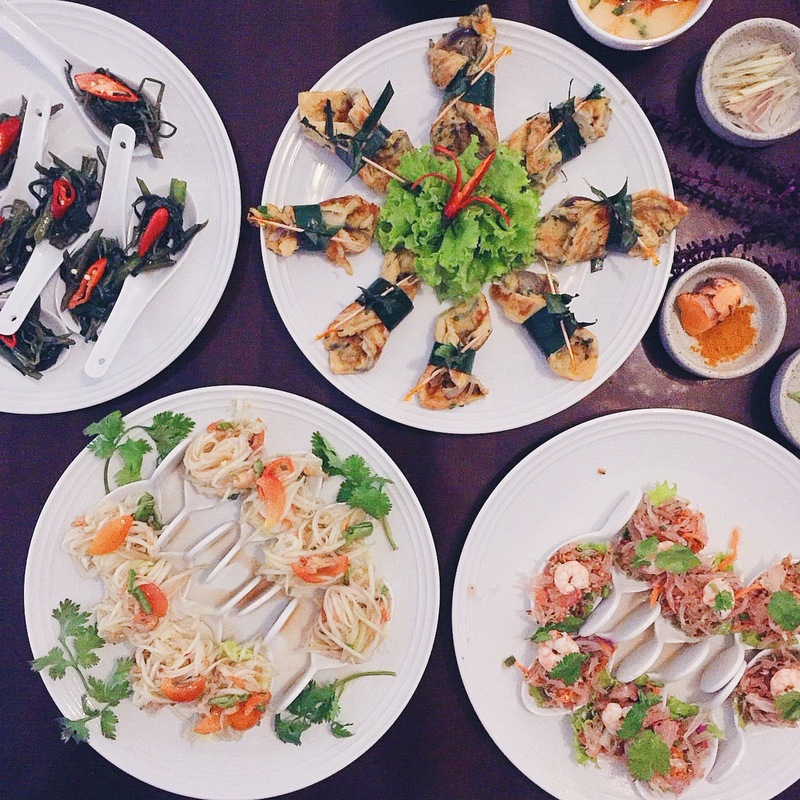 Mindful and conscious eating instantly creates a happy, healthy, vibrant, and thriving body and life in general, and this is all possible by proper food intake. Disclaimer: It was a free tasting event. Everything written here is entirely based on my own opinion, my own biases, and my own insights.